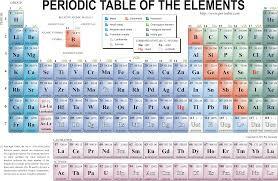 If you remember in chemistry class, there are a set of basic elements, which is the primary cornerstones of everything else. When combined in different combinations, they produce individual mixtures and compounds with their own unique makeup. It all begins with the 118 basic elements which have been identified to date, which are the building blocks of everything in the universe. These basic elements are unique unto themselves and most important the simplest form of all matter. If I listed all the attributes of who I am, one would not play a more significant role than any of the others in determining who I am. In essence, each characteristic, each element, combines to make the whole complex person. The combination of the basic points of personality, my environment, and experience have made me who I am today. Humorous is no more important than compassionate. Active leads to adventurous. Peaceful does not preclude challenging. I am a unique combination of parts of the 638 recognizable personality traits as determined by social scientist. Some of my traits are genetic without a doubt, but others have come with life and experience. No two of us are alike and yet many of us are so similar. God's mercy is shown through the grace which is poured out when Jesus's blood was shed for us. I am thankful God is more free handed with His mercy than I am with mine. I am thankful He is teaching me the importance of being merciful. I am thankful the never changing, constantly present, tenderly loving, all wise Father is merciful and provides this sinner the way to the eternal road. There's so much one can comment on this wonderful post that, if I did so, I would be taking over your Blog. You are right, of course. But I have great difficulty with your quotation in red. Can we possibly be as merciful as God? He is God. We are not. Our mercy will inevitably be limited by our human nature, our prejudices, our fears and our need for retribution and revenge. In this world, there is seldom forgiveness without a price to pay. We are indeed so far away from being able to love and forgive and have mercy as God does. God bless you. Your writing is becoming more excellent each day. Thank you, Victor, i am striving for the old adage. "Practice makes perfect." AH- I will never be perfect, but I have gotten better. Perhaps this is how we learn to extend mercy -practice & with practice we will get better!